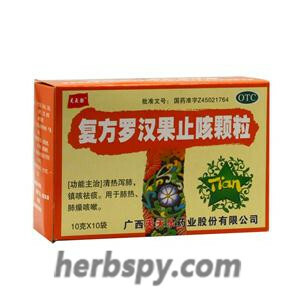 For lung heat cough, dryness cough, phlegm not easily come out. Clearing heat and purging lung,relieving pain and eliminating phlegm. Grosvenor Momordica Fruit,Loquat Leaf,Stemona Root,White Mulberry Root-bark,Willowleaf Swallowwort Rhizome,Platycodon Root. This product is light brown particles,sweet. For oral use after meals,10 sachet thrice daily or by medical ordor. 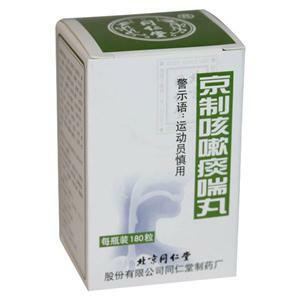 Cntraindicated in lung deficiency or patients with common cold due to wind-cold. 1.Avoid spicy,greasy food during taking this product. 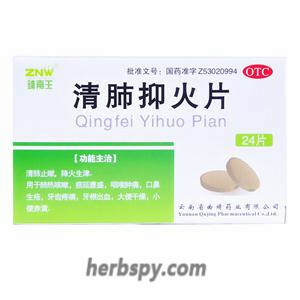 2.This product is suitable for lung heat cough, its performance is cough, shortness of breath, or throat with phlegm,sticky,body fever,dry mouth, sore throat. 3.Diabetes patients use with caution..
4.Patients with bronchiectasis, pulmonary abscess, pulmonary heart disease, and tuberculosis should be taken under the guidance of a physician. 5.One week without any remission,should go to hospital. 6.During medication, if the patient develops high fever, the body temperature exceeds 38°C, or the person suffering from breathlessness or aggravation cough,phlegm increased, should go to the hospital. 7. For long-term use, consult a physician or pharmacist. 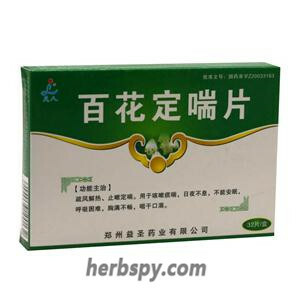 1.Lo Han Guo has two-way regulating effect on the intestine, and has antagonistic effects on the urinary contractions caused by acetylcholine and strontium chloride, so that the intestinal canal relaxes and spasm. It also has an antagonistic effect on the relaxation of the bowel caused by epinephrine, so that the intestine can recover spontaneously. The activity shows that it has a two-way regulating effect on the intestinal motility. 2.It had no significant effect on the isolated small intestine activity of mice, but it could enhance the spontaneous activity of isolated small intestine of rabbits and dogs. 3.It has no effect on normal rabbit stomach bioelectricity,it does not affect the normal digestive tract motor function. Stage Food and Drug Administration Approval number:Z45021764.